Is CBD Oil Safe and Beneficial For Pets? With the benefits of CBD oil now looking clearer by the day, humans across the globe are embracing hemp-based products for health. It wasn’t going to take long before pet owners starting wondering whether it was safe to give it to their dog or cat. Can pets take CBD oil, and will they feel the benefit? Unfortunately, clinical research into CBD oil for pets is currently lacking, mostly due to the regulatory minefield which makes it difficult for scientists to gain permission to research medical cannabis. Despite this, research is now developing to establish a link between CBD and the treatment of epilepsy and anxiety in dogs. The American Veterinary Medical Association will not approve the use of CBD oil for pets until enough research has been put forward. Hopefully, as the body of research grows, so will the number of endorsements by vets and other medical professionals. Until then, pet owners will have to use their own judgement when it comes to using CBD to treat pet’s ailments. Why Does CBD Effect Pets? CBD works on the endocannabinoid system. This system is responsible for regulating a number of physiological and neurological responses in the body, and aims to establish homoeostasis within the mammalian central nervous system.Did you see the key word there? Mammalian nervous systems. Dogs, cats and all other mammals have an endocannabinoid system. This system can be affected by both cannabinoids produced within the body, as well as cannabinoids that come from ingesting CBD. CBD is much safer to give to your pet than THC. THC is a psychoactive compound, and has actually been shown in a recent study to increase toxicants in canines over long periods of time. CBD is not psychoactive. It does not get your pet ‘high’. Yet CBD offers all of the same potential health benefits. Though vets are not quick to endorse CBD as a treatment for your pet given the current situation with research and stigma, some medical professionals have come out to say that CBD is a valid medicine for dogs. The interaction of CBD with the endocannabinoid system in dogs provides relief from physiological and neurological conditions such as nausea, stress, anxiety, pain and even gastrointestinal conditions. Indeed, given that dogs and cats have a similar endocannabinoid system to humans, it can be expected that mammals will experience similar health benefits to humans when it comes to taking CBD. Cancer – CBD has been shown to have anti-tumour properties, and can inhibit the growth of cancer cells. Seizures – Around 5% of dogs suffer from seizures or epilepsy which can seriously affect their life. CBD oil is known to drastically reduce seizures in some cases. Vomiting – CBD has been shown in animal studies to reduce vomiting and nausea. One particular use for pets would be during travel, when they are likely to get sick. Aggression – CBD is increasingly being used for aggressive dogs, or skittish and scared dogs, and pets who cannot settle down. Lack of appetite – CBD can help to restore your pet’s appetite. 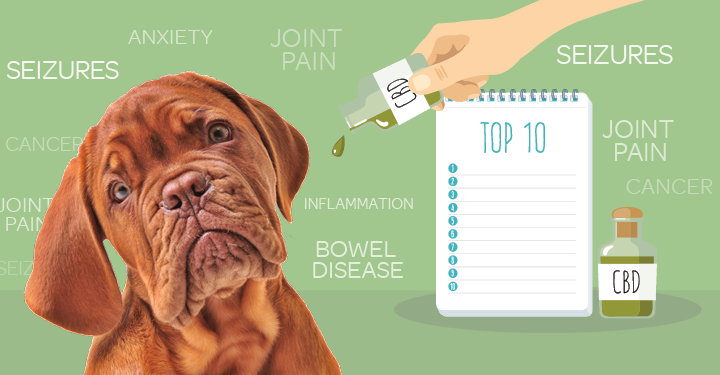 Pain relief – If your animal is suffering from pain, CBD may be able to help as it has been shown to reduce pain and inflammation. There are many ways in which you can give CBD oil to your pet. CBD liquids should be administered straight in the mouth, preferably under your pet’s tongue. This may be difficult at first, but eventually it will become routine for your animal. You can make the process easier by rewarding your dog with a treat after administering CBD. There are also other ways in which to dose your pet. CBD capsules can be mixed in with your pet’s food. Open the capsule and mix the powder in directly, or wrap the whole capsule in a dog treat. You can also find CBD treats for dogs and cats, which come in many flavours which your pet will find delicious. The correct dosage of CBD to give to your pet is a matter of debate, and depends on a number of factors, including the animal’s size, ailment, and the strength of the extract. 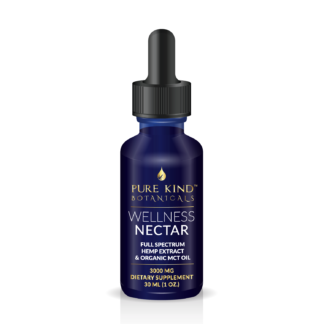 Generally speaking, around one drop of CBD oil per 10lb of weight is considered reasonable. Directions can be found on the packaging of products. The good news is that CBD is non-psychoactive, and has so far been found to be well tolerated, even in high doses, with no known toxic or overdose level. Giving your CBD oil to pets is much safer than THC, and has all of the same potential health benefits. Though the area is under-researched, expect that in coming years science will provide direct links between CBD and pet health.